Dissonance is the first installment of a series I’ve been working on for five years. It started out as a novel about mermaids inspired by the ocean in Peru; I’m not really sure how it changed like it did, but I’m happy with what it became. I’m proud because of all the time I invested, writing and editing until I could do no more. I hope people will enjoy it, because it was so much fun to write. Now when I work on the sequel, I realize how I’ve already improved. That’s part of why I love this book so much: It’ll be the first of many books, showing my growth as a writer and reader. One day I’ll look at all the stories I’ve written, and this will be the first on the shelf. It’s the story that made me brave enough to go beyond a final draft and publish. Maybe this isn’t the kind of book that you’d normally read, and that’s fine. Thanks anyway for visiting my page, and perhaps we can be friends on Facebook or Twitter! I’d love to hear your stories as much as I’d like for you to enjoy mine! Have you read the book? What do you think about it? Let me know in the comments! For Dissonance I had a team of wonderful friends help me with visuals to bring the story to life. The above are wonderful character sketches by my dear friend Samantha Lowman. Visit her blog here. The cover design is thanks to Syd Wachs, whose blog can be found here. I had so many betas help shape this story into something readable! Let me try to list them here: Heather, Rachel Lynn, Kelly, Jeannette, Gabrielle, Phil, Faith, and many others who read excerpts and helped me chisel them to perfection. I couldn’t have done any of this on my own! 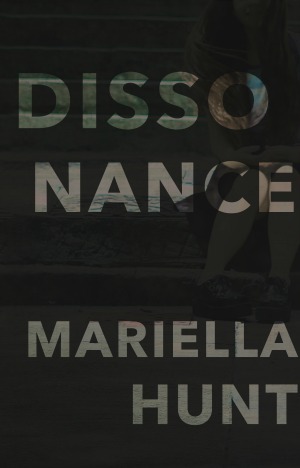 To join the Dissonance street team and help me with my next novel, click here! Finally, some friends have written very sweet reviews. I especially loved Kayla’s review because the gifs just really show how she enjoyed it! Go read, and follow her blog as well!